Since 1934, Kraft Foods has used their Kendallville, Indiana facility as the company's North American headquarters for product manufacturing, packaging, and distribution. 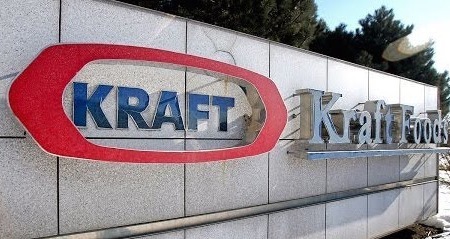 In 2007, six separate roof areas spanning across more than 100,000 square feet required replacement, including certain areas directly above Kraft's food manufacturing center. After submitting a quote to help repair the massive facility, Bloom Roofing was eventually selected for our proven track record of providing manufacturing and distribution facilities with efficient, cost-effective roofing solutions. After being selected for the job, Bloom Roofing's team of expert contractors designed a custom fully-adhered PVC system built to maximize protection and insulation efficiency throughout the damaged area. To protect Kraft's interior, Bloom provided extra interior protection and worked late hours to ensure no interruptions to the food manufacturing area. Upon completion, Bloom didn't cause a single disruption to Kraft Foods' day-to-day operations and provided a best-in-class commercial roofing system designed to maximize efficiency and reduce roofing expenses for years to come. Is your building in need of commercial roof replacement or repair? Contact Bloom Roofing's team of experts here.